Those may have been the drones Facebook was looking for, but they now belong to Google. 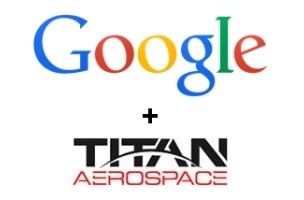 The Wall Street Journal reported that Google will acquire Titan Aerospace, a near-orbital, solar-powered drone manufacturer that the social network was reportedly in talks to acquire last month, with an eye toward using its Solara 60 unmanned aerial vehicles to help provide Internet access to unserved parts of the world, starting with Africa, as part of the Internet.org initiative. Facebook ended up acquiring Ascenta for $20 million in late March, when it announced the formation of its Connectivity Lab, which will be tasked with using high-altitude long-endurance planes, satellites, and lasers to help further the mission of Internet.org — the global partnership formed by Facebook, Ericsson, MediaTek, Nokia, Opera, Qualcomm, and Samsung last August — of providing Internet access to parts of the world that are not connected.